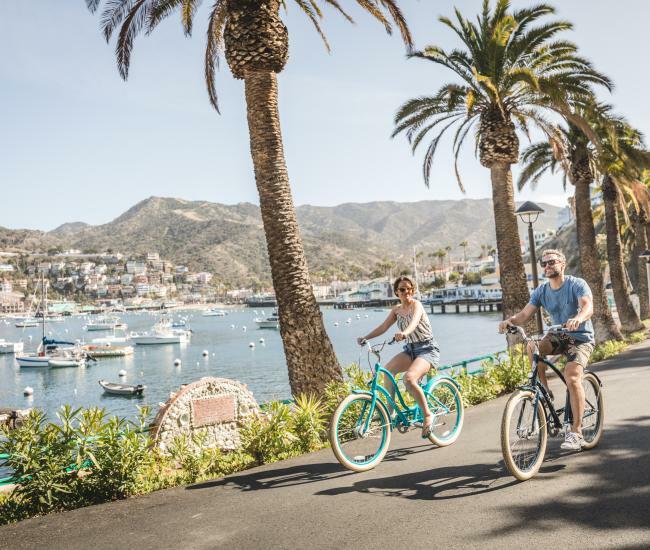 Generations of vacationers have discovered the secret of Catalina, returning year after year to this Southern California destination until the island feels like a second home. 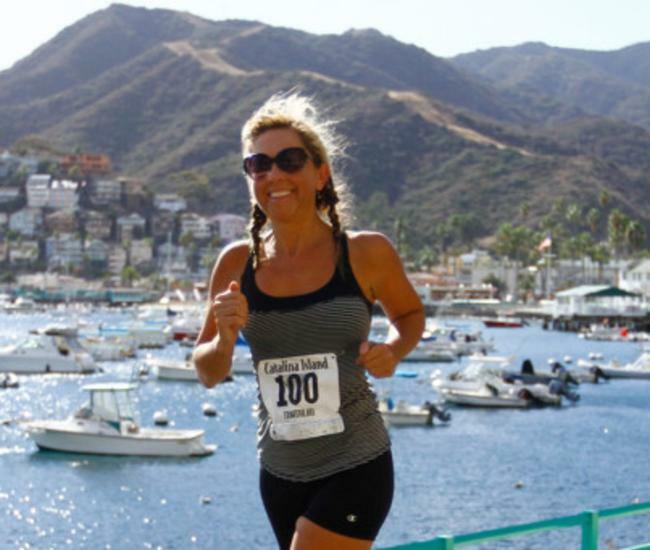 Thanks to its natural beauty and wide array of activities, first-time visitors to Catalina almost always return. Here are seven things every first-time visitor to Catalina Island should do. See the rest of the island: As charming as Avalon is, it’s just a small portion of this compelling Southern California island. Nearly 90 percent of Santa Catalina is protected, overseen by the non-profit Catalina Island Conservancy. Through a variety of initiatives, the Conservancy ensures that the island will remain undeveloped and in its natural state in perpetuity. The nearly 76 square miles of the island’s interior is a natural wonderland of sweeping vistas, stunning seascapes and unique flora and fauna. Iconic species like bison and bald eagles make their homes here and fascinating native species, including the Catalina Island fox, are found nowhere else. Getting out into the interior can be as simple as taking a tour or as adventurous as a multi-day hiking expedition on the Trans-Catalina Trail. 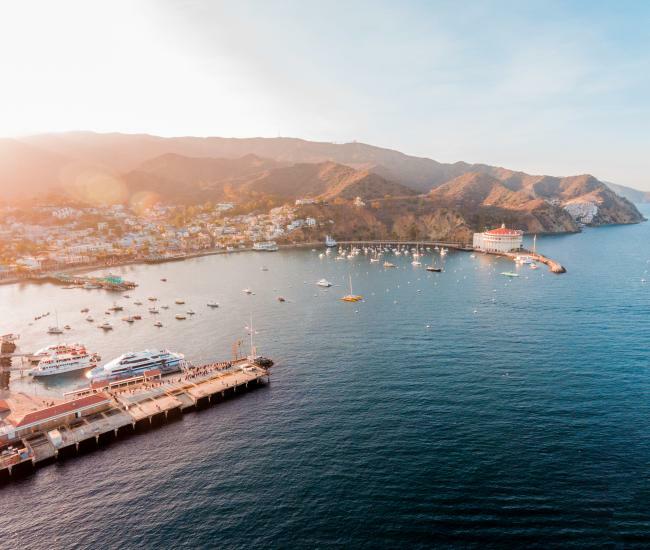 No matter how you choose to experience it, seeing the rest of the island should be an essential part of any first-time trip to Catalina Island. Take a tour: Catalina activities include a myriad of tours and no matter what your interests, first-time visitors are bound to find a tour that suits them. Food tours, kayaking tours, bike tours, glass bottom boat tours, Jeep tours, zipline tours and snorkeling tours are all available, as are more traditional bus tours. No matter which tour you decide on, you’ll have an experienced local guide who will share Catalina’s fascinating history and unique culture. Visit the Catalina Island Museum: Human history on Catalina dates back nearly 10,000 years and includes native islanders, European explorers, crafty smugglers, Civil War soldiers, World War II combatants as well as Big Bands, Hollywood’s elite and the Chicago Cubs. Get a taste of that history at the Catalina Island Museum, where you can also immerse yourself in a number of traveling exhibits and unique special events. Take some time to relax: With the wide array of things to do on Catalina Island it can be tempting to try and do it all. 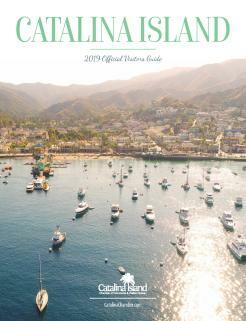 Save some time on your first trip to Catalina to relax and enjoy the unique island ambiance. Explore Avalon’s charming streets, soak in the sun on the beach or have a cocktail – or two – in one of the island’s many watering holes. See beneath the sea: The thriving marine eco-system around Catalina attracts visitors from throughout the country. Whether you choose to plunge beneath the surface via scuba or just want to take a peak from a glass bottom boat, Catalina’s undersea gardens provide a fascinating opportunity to experience a kelp forest -- one of the Pacific Ocean’s most diverse habitats. Seeing the denizens of the deep can also be done via snorkeling, snuba or semi-submersible. Stay overnight: While first-time visitors can get a taste of all that the island has to offer on a day trip, spending a night or two will provide a much more relaxed and rewarding way to visit Catalina for the first time. Dozens of accommodations are available, ranging from rustic campgrounds to luxury inns and from expansive vacation rentals to modern boutique hotels. Plan your return trip: Once you’ve experienced Catalina, the island’s allure becomes irresistible. Like the tide, you’ll be drawn back again and again, finding new experiences and adventures each time you visit.